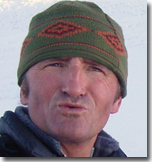 Appropriate objectives: with a mountain guide to enjoy amazing skiing even if you aren't experts. Beautiful ski runs both on and off-piste accessible from the Chamonix Mountains including the classic routes of the Grands Montets and Vallée Blanche. Easy skiing in Cervinia -Zermatt. 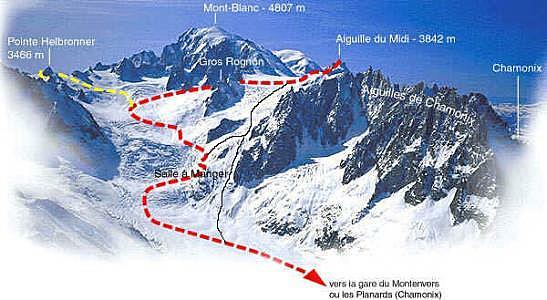 With the Mountain Guide Warm-up to do the Vallée Blanche..
And why not Italy or Megéve? You' will be on one of the most impressive ice falls descending from the Mont Blanc summit. Remember that you can have all the snow conditions in this area because nobody prepares the snow on this off piste route.